The Scorch Trials starts a few hours after the end of The Maze Runner. Thomas and the other survivors of the Maze are resting from the ordeal they just went through. The next morning though, it becomes clear that they are not safe and that their problems are far from over. Teresa is missing, and a new boy, Aris, has taken her place. Then the Gladers are told that they have the Flare, the virus that has decimated the earth’s population, and that they now have to go through Phase 2 of the trials. They have 2 weeks to walk 100 miles North to a safe haven where they will find the cure. What obstacles and dangers will they have to face to get to their destination? Will they be able to make it in time? 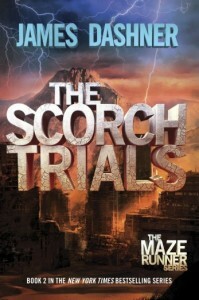 The Scorch Trials is the second book in the Maze Runner series. 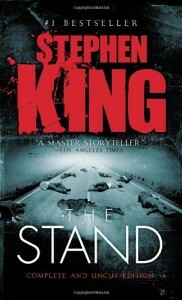 While it is not as good as the first installment, it is still a lot of fun to read. The story is fast-paced and entertaining, even though I found that the walk in the desert — the Scorch — was a bit long. The world the Gladers discover outside of the Maze is terrifying, all the more so because it could be real: the sun is so hot it kills, and most of the human race is infected by the Flare. Little by little, Thomas starts to recover his memories, and what he finds out seems to suggest that he was deeply involved in the creation of the Maze and was an active member of WICKED, the organization behind the experiment. The book is really different from the movie though, partly because Thomas and Teresa can communicate telepathically in the novel and not in the film. But there are other changes too that I won’t get into because I don’t want to spoil the story. 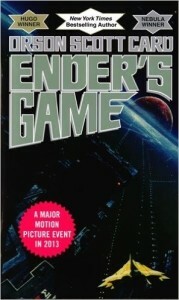 Therefore, readers might be disappointed by the adaptation. The movie will be out on DVD on December 15, 2015. So you will be able to judge for yourself. 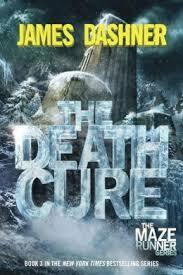 Read my review of The Maze Runner, the first book in the series. James Dashner likes to write at a bookstore cafe, or listening to movie soundtracks. His advice to aspiring authors: go to writers’ conferences to make connections and learn how to improve your craft. Most of the plot of The Maze Runner came to James Dashner in one evening, but it wasn’t published until almost four years later. 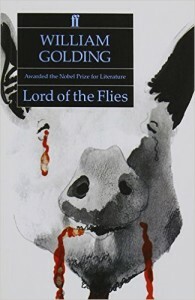 He was inspired by Lord of the Flies by William Golding, Ender’s Game by Orson Scott Card, and the TV show “Lost”.